Systems and gadgets meant to charge mobile devices via movement are pretty common (at least as concepts) these days, but this one is one of the most brilliant we’ve seen. 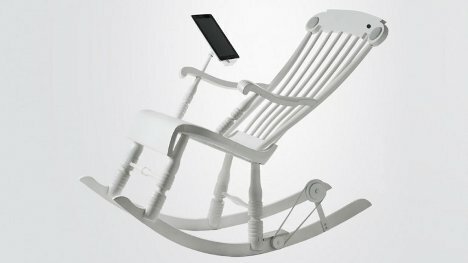 The iRock uses a rocking chair’s natural motion to charge an attached iPad or iPhone. Conceived by Zurich-based Micasa Lab, the chair is a smart way to harness a relaxing motion that you might already be doing anyway. The rocking chair is of a classic design, constructed of sturdy Swedish pine and available in five colors. But unlike classic rocking chairs, one of the rockers includes a small generator on the back side. The generator captures the energy from the chair’s regular back-and-forth motion and sends it to an integrated battery. That energy can power the integrated speakers in the back of the chair, charge an iDevice, or both. 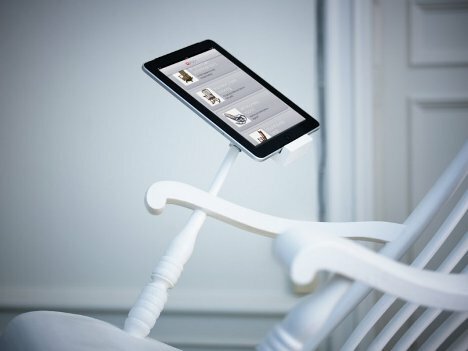 Thanks to the iPad dock built into the chair’s right arm, you can use your iPad as you rock while keeping your hands free. This, coupled with the built-in speakers, makes the iRock the perfect accessory for new parents. It would make it possible to rock baby to sleep while listening to some quiet music and, if you can take your eyes off of baby for a while, even catching up on some reading – all while your iPad charges. 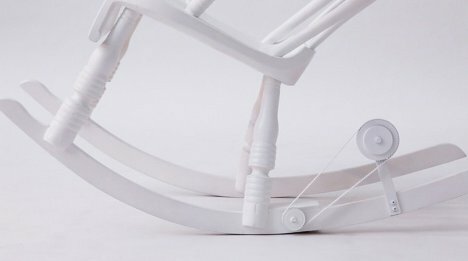 The $1300 chair only works with Apple products at the moment, but the folks at Micasa Lab say that a variety of connectors are likely to be released for the chair in the future.